Timothy Keller, the founding pastor of Redeemer Presbyterian Church in New York City, addresses the frequent doubts that skeptics, and even ardent believers, have about religion. 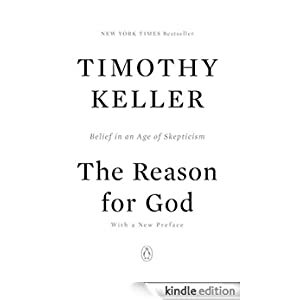 Using literature, philosophy, real-life conversations, and potent reasoning, Keller explains how the belief in a Christian God is, in fact, a sound and rational one. Purchase this book today for only $1.99. Holy Week special.